According to a recent article by CNN, “[this is] the fifth consecutive season that at least 30 inches of snow have fallen in New York City. The only other recorded time it snowed this much, for this long a period, was back in the 1880s (Enten)”. With increased rates of snowfall and ice on the roads, drivers living in New York City have to be very careful while they brave their morning commute. If you’ve been living in New York City for the past few years, you may have experienced the largest snowstorm in the history of the city; in January 2016, New York City experienced a 27.5-inch snowstorm and the only subzero temperature since 1994. The National Weather Service is warning people to exercise extreme caution due to record levels of snowfall and inclement weather. Naturally, citizens need to take extra precautions during the winter months due to dangerous conditions on the road. Remember this: when the road is icy and/or wet, it takes a much longer time to come to a complete stop in a motor vehicle. By not leaving enough space in front of their car, a driver will not have enough time to break in the event of a sudden stop. This can lead to the driver losing control of the vehicle, which can result in a rear-end collision. These types of accidents can be mitigated if drivers leave enough extra space between their automobile and the automobile in front of them. It’s a simple equation that far too many people do not seem to follow: more space equates to more reaction time. There are quite a few strategies you can use to lower your risk of a car accident in New York City during the winter months. Accelerate and decelerate slowly. If you accelerate or slam on the breaks too quickly on an icy patch, it can send your car spinning. Remember, inclement weather will increase brake time. Your margin of safety between cars should increase. If you are driving on the highway, allow yourself a breaking distance of 7-10 seconds from the car in front of you. When it is not icy out and visibility is ideal, the recommended time is 3-4 seconds. Keep your gas tank at least half full at all times. This will help avoid a gas line freeze. Regardless of the weather, always wear a seatbelt and encourage your passengers to do the same. That text or phone call can wait. According to the Department of Motor Vehicles, 9 people in the U.S. are killed each day as a result of crashes involving a distracted driver. Even if you follow every safety precaution recommended, there is always a chance that another driver could rear-end your vehicle. With record levels of snowfall and a record number of miles driven in the U.S. last year, the occurrence of automobile accidents is not on the decline. If you’ve been involved in an automobile accident in New York City, Argyopoulos & Associates is here to represent you. With over 27 years of legal practice, we have the experience needed to settle any legal conundrum. If you need representation, contact us today to speak with an attorney. What is No-Fault Auto Insurance? 12 states are known as something called “no-fault” states due to mandatory requirements for Personal Injury Protection (PIP) insurance. New York is a state that participates in this law. In the large majority of other states, this is not the case. 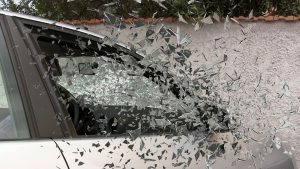 Generally speaking, the at-fault driver is responsible for the damages caused in a car crash, with their bodily injury liability and property damage liability covering the other driver’s medical expenses and car repairs. This is not the case in New York, where the law is a ‘no-fault”. The extent of liability and pay-outs can widely vary depending on the state and having a lawyer that knows the law is an absolute must. Do I need a lawyer if I live in a no-fault State? If you were inured in a car accident in New York, we still recommend hiring an experienced attorney to represent you. Your Personal Injury Protection (PIP) claim is what you must file after the incident occurs, as the PIP claim is what your auto insurance uses to help with the payment of lost wages, medical bills and other damages after a car accident. This can be an incredibly trying time, regardless of who was at fault. Knowing the law is key, as things can become complicated very quickly. Often times, submitting a claim can feel like a shot in the dark. Did you complete the form right? Should you have given a statement? What if you were at fault? Knowing what to say, or having someone to represent you can be the difference between an unpaid claim and thousands of dollars. We’d like to think that your insurance company will pay for all the damages incurred, but as we often see, insurance companies put their bottom line ahead of the needs of their customers. This is why you need to hire an experienced automobile accident lawyer in New York if you’ve been injured. In New York, you must go after the ‘pain and suffering’ category by pursuing that at-fault driver’s insurance. This law was meant to help streamline the process for smaller accidents, as you cannot make a claim for ‘pain and suffering’ with your own car insurance. There are a few requirements that you have to meet when filing for this type of injury, such as substantial disability, disfigurement, bone fracture/breakage, and/or a certain amount reached in medical expenses. For example, if you break your leg in a car accident and it’s not your fault, filing a third-party claim or personal injury lawsuit is a must if you want to obtain all the money you are entitled to. Pain and suffering is not covered in a no-fault claim in New York. Your only option is to bring a claim directly against the at-fault driver. If you’ve been injured in a car accident in New York, contact Argyropoulos and Associates today. Having celebrated over 27 years of legal practice, we have the experience and knowledge needed to help you get every single penny you deserve. Often times, automobile insurers will try to get out of paying for everything that they are accountable for. We can help you detail the full extent of your injuries to help you obtain the maximum payout. We highly recommend that you call a lawyer before you make a statement and start the claim process. Your Worker’s Compensation was Denied – Now What? There are a few things that you can do if your Workers’ Compensation Claim was denied. If you receive a decision by the New York State Workers’ Compensation Board that is not in your favor and is not justified, there are actions that you can take. What are your options? You can file an appeal with the Worker’s Compensation Board to the commissioners of the board, outlining the reasons why you think the judge made a mistake when dealing with your case. You must file the appeal within 30 days of the decision. Look for the filing of the notice, also known as the “control date” on the bottom of the decision. If the appeal is denied again, you may ask for a full board review of the matter and even contact the 3rd department, which is a court system that oversees the entire Workers’ Compensation Board. The commissioners of the board that deal with Workers’ Compensation claim may decide to hold a hearing or series of hearings that will be heard by an experienced attorney that deals with workers’ compensation. The judge will re-review the case and decide whether or not the claimant should receive the benefits. Either side has the right to appeal the decision within 30 days and you always have the right to an attorney during any point in this process. There are options that you have if your workers’ compensation claim has been denied in New York. If the judge does not rule in your favor, there are many avenues of defense that you can take to help the next hearing run smoothly. Having an experienced attorney that has dealt with hundreds of workers’ comp claims is highly recommended if your claim was denied at any point in the process. At Argyropoulos and Associates, we have a proven track record of getting our clients the money they deserve, even after their claim has been denied. Work related injuries can be frightening. Having your claim denied can be even more frustrating. We have the compassion and diligence needed to help guide any worker through the process. Contact us today if you would like us to represent you or if you have any questions regarding your workers’ compensation claim.  Argyropoulos & Associates, LLC Attorneys at Law. Celebrating 27 years of legal practice, excellence and commitment to our valued clients. © 2019 ARGYLAW. All rights reserved.